My feelings about Italian cuisine are well known both in and outside of my family. It isn't that I dislike Italian cuisine. I actually eat it quite often. It's just that it doesn't contain the element of excitement I am looking for when I go out for a special dinner. When I go out to I want fireworks, and fireworks is typically caused by a chef who possesses unique culinary talent. And it isn't that Italian chefs are incapable of possessing unique culinary talent. But in more than 25 years of serious dining, I can count the number of Italian chefs who created culinary fireworks on one hand. In fact, rather than go to a restaurant and pay top dollar for a perfectly sauteed piece of veal, I'd rather take a walk over to Lobel's and pick out a nice hunk of meat and cook it myself. 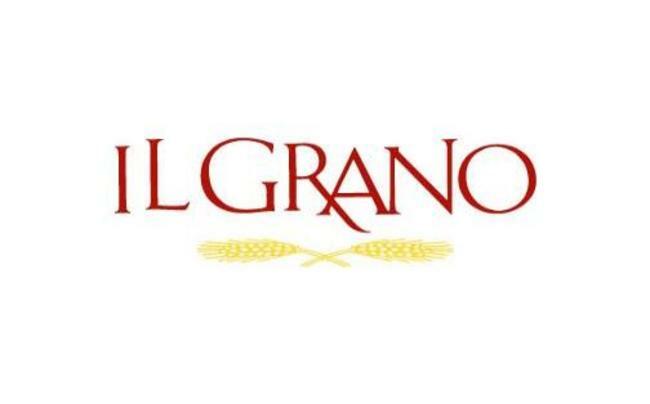 So you can imagine how shocked Mrs. P. was when I told her we were having dinner at Il Grano. "Where are we having dinner" she asked a second time? Usually when people ask a question for a second time, it's because they didn't hear you the first time. But on this occassion she was asking because she heard the answer loud and clear. "Il Grano, it's an Italian restaurant in Santa Monica.' I went on to tell her how it was different than your typical Italian restaurant and how Chef Sal Marino...... But it was going in one ear and out the other. "Italian" she murmered, and I figured that I would leave it at that until we got to the restaurant. My dinner at Providence almost never happened. 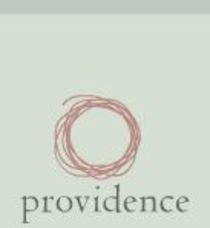 I was on my way to Los Angeles for the weekend and I had three restaurants in mind for dinner, none of which happened to be named Providence. In fact in the first instance I turned down having dinner at the restaurant even though my big shot movie producer friend Carol Fenalon suggested that's where we have dinner. "They serve my favorite tasting menu in L.A. these days" she said. Despite the endorsement from a source I trusted I brushed her off. "I haven't heard good things" I told her. I'd rather we go to Il Grano and try their crudo. But you know how these things go. The Saturday before I was going to be in town my friend Liz Haskell had dinner at the restaurant and and she described her meal as "excellent". That did it. Two excellents from trustworthy sources and I willingly abandoned an evening revolving around raw fish prepared in the Italian style for cooked fish prepared in the haute cuisine tradition. Is Bastide the Best Restaurant in the U.S.? When I first visited Bastide I didn't know what to expect. I didn’t really know that much about the restaurant other than my dear friend Liz Haskell thought that Bastide’s chef, Ludovic Lefebvre, had great potential, that Lefebvre had published a cookbook called Crave that had been criticized by certain people in the world of fine dining, that Lefebvre served an aggressive cuisine, and that Irene Verbilia had trashed the place in the Los Angeles Times by reducing it to one star from four. But despite the gossip about the cookbook and Virbilia's poor review, I had faith in Liz's claim that there was a there there at Bastide. So when I had a business trip to San Francisco planned at the beginning of June, I took a few days afterwards and headed down to L.A so I could sample some of the local gastronomic treats, one of which was Bastide. 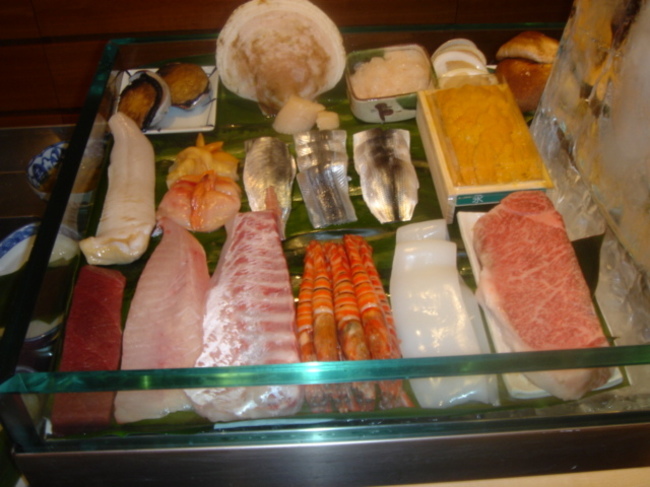 Once there was a very famous Japanese restaurant in Beverly Hills called Ginza Sushi-Ko. The restaurant’s chef/owner, Masa Takayama, was probably the most famous Japanese omakase chef in America. Masa’s legend was twofold: first, he was famous for sourcing the absolutely best ingredients available, flying in many of them from the Tsukiji Market in Tokyo. But superb ingredients alone couldn’t do it. The price of the meal, a then-unheard of $250, caused a great deal of commotion in the foodie community, and a cult following developed. But then one day Thomas Keller, the chef/owner of The French Laundry, and a fan of Ginza Sushi-Ko, convinced Masa to trade in his Beverly Hills address for a location in New York City’s Time Warner Center. Whatever the incentive Keller held out, Masa decided to take it, and he is now ensconced in a space just down the hall from Keller’s Per Se. Sayonara Chef Masa. But the story doesn’t end there. Fortunately for Los Angeles sushi lovers, Masa had a second at the restaurant, the very talented Hiro Urasawa. Hiro realized that Los Angeles would remain a strong market for omakase-style dining even after Masa left town. Rather than close his doors, Hiro bought the restaurant from Masa. So there I was a few weeks back, riding up the elevator to the second floor of 2 Rodeo Drive with two friends, formerly regulars at Masa and now devotees of Urasawa, and a well-known American chef who is a friend of ours and a sushi fanatic.